Basil is considered one of the healthiest herbs. It’s best when fresh, exuding a sweet, earthy aroma that indicates not only the promise of pleasantly pungent flavour, but an impressive list of nutrients. Vitamin K, essential for blood clotting, is one of them. Just two tablespoons of basil provides 29 percent of the daily recommended value. 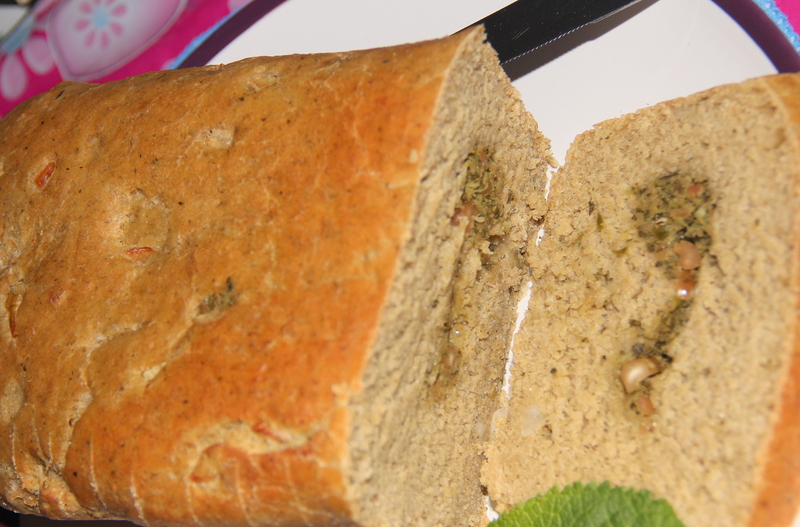 This delicious light bread loaf is healthy as its packed with whole wheat, oats and fresh basil. This is so easy to make and freshly baked.